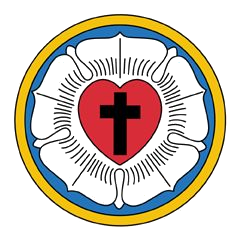 During the early years of the Reformation Luther and the others proposed again and again that a general council of the church be convened. This council would discuss the questions of doctrine and practice which divided the Roman and Evangelical (Lutheran) churches. Pope Paul III called a council in June, 1536, to meet the the following May in Mantua. Although the council did not actually take place until 1545 in Trent, the call for a council meant the Lutherans had to examine their beliefs again. Even though Luther had desired a council, by this time the situation had changed. The two sides had become farther apart. Also, since 1530 the Romans had time and again refused to discuss doctrine with the Evangelicals. In December, 1536, the elector of Saxony directed Luther to prepare a statement indicating the articles of faith in which concessions might be made for the sake of peace. He was also directed to indicate the articles in which no compromise could be made. Luther immediately went to work and finished by December 28. A small group of theologians met in Wittenberg and reviewed Luther’s work. Among the proposed changes was the section on the invocation of saints. At this time the first eight people signed this confession. The elector of Saxony then took the Articles to Smalcald. On February 8, 1537, the Smalcald League met in hopes of having the document adopted. This hope was not realized, however, partly because Luther was ill and unable to attend the meetings. Although not officially adopted by the Smalcald League, many theologians and clergymen signed the Articles because they agreed with Luther’s writing. Finally the articles were accepted by the Lutheran church and incorporated in the Book of Concord which was published in 1580. Text of the Smalcald Articles in a new window.